If you have ever watched the television show Survivor, you will undoubtedly know the significance of a player possessing the immunity idol. As any Survivor fan will tell you, if the idol is used too soon, the player might merely be delaying their inevitable departure from the island the following week. Alternatively, if a player misjudges the political climate of the tribe and chooses not to use the idol only to get voted off, they have wasted a tremendous opportunity. The dilemma of when, or when not, to use the idol, is the equivalent of the two-edged sword analogy in which having the “advantage” or perceived inside track can be both a blessing and a curse – depending on what the player ultimately does. 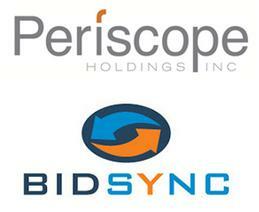 Within this context, let’s examine the recent acquisition of BidSync by Periscope Holdings. Backed by Parthenon Capital Partners, Periscope acquired the company previously known as RFP Depot, for an undisclosed amount of money. It should be noted that Parthenon – which GovConWire referred to as being Periscope’s private equity partner, has been pretty active as of late. For example, and along with Great Hill Partners, Parthenon funded global payment gateway company BlueSnap to the tune of $50 million in early November, while divesting their interests in Sequoia Golf Holdings a month earlier. So here you have Parthenon divesting itself of an old investment in a company that “owns or operates 50 private clubs, semi-private and resort golf facilities,” and investing is a company that provides a global payment gateway. Hmmmmm, why does the QuickPay and SupplierPay programs suddenly come to mind? In short, Parthenon strikes me as a “partner” who- if they were a player on Survivor – would know when to use the idol. Within the world of delivering “purpose-based procurement” services to the public sector, this would mean enabling Periscope to finally capitalize on a perceived advantage the company has through their custodianship of the NIGP Commodity/Services Code. Just think about it for a minute – and I know that this is somewhat speculative as there is a paucity of any real information on Periscope (which by the way is an aptly named company). Here you have Periscope that is for all intents and purposes, the keeper of what is today the standard taxonomy for classifying commodities and services for 33 states and thousands of local entities within North America. This means that Periscope is responsible for licensing, overseeing code change requests, publication of version releases, communication with end users, phone support, training, integrity of the codeset, and commodity coding services for the conversion of contract and inventory files. It is the ultimate public sector procurement world idol. 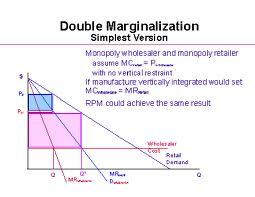 The question is how do you capitalize on this tremendous advantage? How do you become the procurement software utilized by the entity for use in e-procurement into which this database is often incorporated? While it is obviously not a straight line on the map, given the depth of Parthenon’s expertise in terms of pursuing “complex, multi-faceted value creation opportunities,” the BidSync acquisition may simply represent the humble beginnings of a major move in the world of public sector eProcurement. Only time will tell if mine are the anecdotal musings of a creative writing mind or, if there is something more going on beneath the surface regarding the Periscope – BidSync acquisition. Once again, it is important to keep in mind that I do not know the nature of the agreement between the NIGP and Perisocpe relating to their custodial duties, including any potential restrictions that might render the above observations moot. However, if I were an eProcurement vendor in the public sector space, I would be at least a little interested in this deal at this stage.